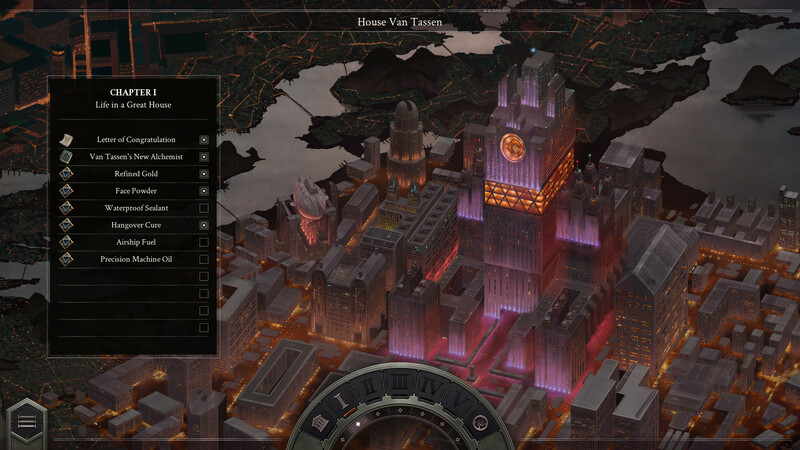 Indie studio Zachtronics was founded by Zach Barth, and is well-known for their detailed puzzle games including Opus Magnum, Shenzhen I/O, and SpaceChem, among others. 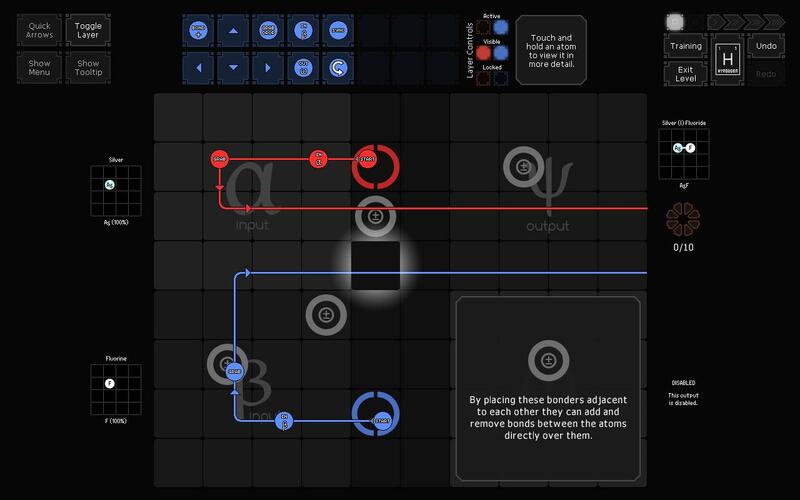 One common theme among the games that Zachtronics releases is education via the use of open-ended puzzle mechanics. After playing through each title, you walk away with a distinct feeling of accomplishment. This has resulted in the company becoming a go-to for fans of quality indie titles. 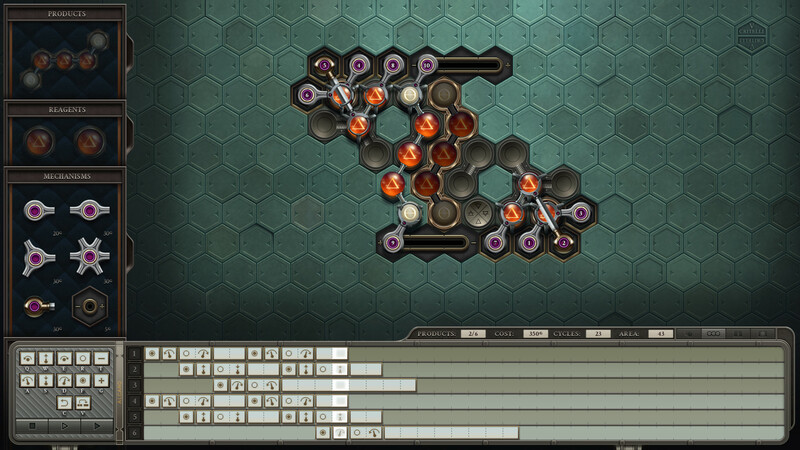 The latest release from Zachtronics, Opus Magnum, continues this pattern via its gameplay. 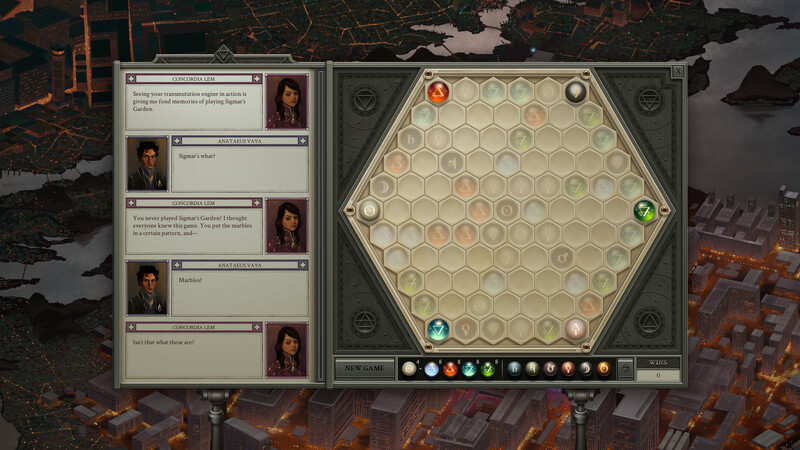 In the game, players are able to design and build machines that produce potions, poisons, and other substances utilizing an alchemical transmutation engine. Having thoroughly enjoyed our time in Opus Magnum, we decided to reach out to Zach Barth to learn more about the game and about Zachtronics as a whole. Q: Starting things off, what first inspired you to pursue video game development? A: I’ve always been interested in games and programming, so when I went to college to pursue a degree in computer science it all clicked together. It started off as a hobby, but became Zachtronics. Q: You’ve released a diverse catalog of games across a broad spectrum of categories. If you had to narrow things down, which game was your favorite to work on and why? A: Every game I’ve designed has involved some amount of falling in love with it; that’s just how I do what I do. I don’t have a favorite, because they’re all special to me. Q: While you out as an indie studio, you eventually sold Zachtronics to Alliance Digital Media. Why did you decide to make that sale, and do you still consider Zachtronics an indie company? A: Although I ran Zachtronics myself for about five years, the only reason I did that was so that I could work on the games I wanted to make. Our deal with Alliance is an improvement on that, and has allowed me to focus on what I really care about: making great games. Q: How would you describe your latest game, Opus Magnum, to someone unfamiliar with the type of games Zachtronics releases? A: I would show them these GIFs (click here to view) and tell them that Opus Magnum is a very open-ended puzzle game where you build machines like that. Q: Opus Magnum has received ample praise from critics and gamers alike. Do you consider the game to be your “Magnum Opus” (pun intended), or do you see all of your games as equal? A: There’s a degree of finality to calling something your magnum opus that I don’t think is appropriate for this game. 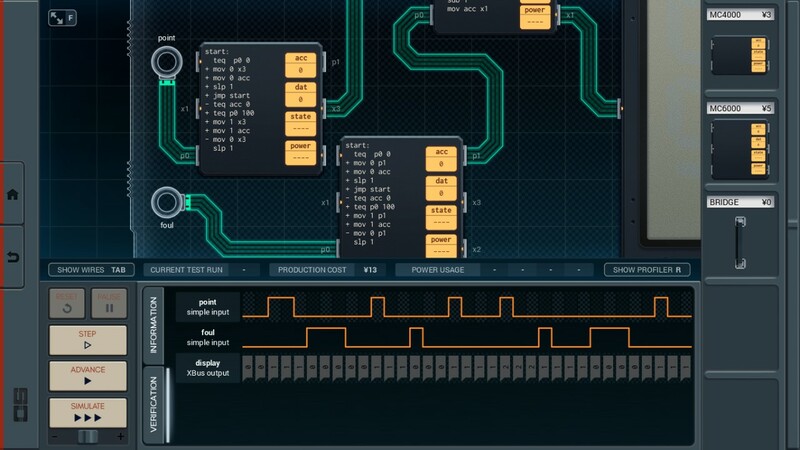 It’s kind of just another Zachtronics game, albeit a good one? Q: Some say that Opus Magnum feels like a more accessible “spiritual successor” to SpaceChem. Was accessibility something you had in mind while making Opus Magnum? A: Kind of? I think it might just be that it’s intrinsically simpler than most of our other games. We try to make all of our games this accessible, it’s just that sometimes they’re legitimately complicated and the complications are what make them interesting. Q: What is the most interesting contraption you’ve seen built in Opus Magnum? A: Someone built a machine in Opus Magnum that is technically a general purpose computer. That was pretty interesting! Q: Opus Magnum was recently rejected by GOG’s internal curation system, despite the fact that your other five commercial titles were all approved. What are your thoughts on GOG’s decision, and does it discourage you from submitting to them in the future? A: I think it’s a little disappointing, because I know that we have fans who prefer to buy all their games on GOG and now Opus Magnum will be strangely absent from that collection, but in the scheme of things it’s not a huge deal. We plan on continuing to submit and sell our games there. Q: With Opus Magnum finished and released, have you already begun planning your next game? If so, can you share any information about what fans can expect from Zachtronics in the near future? A: We are (always!) working on a new game, although I don’t have anything to share about it at this time. Q: You’ve developed and released several education games on iOS and Android tablets as part of the Amplify Curriculum program. Was the development process behind these games different than developing commercial games like Opus Magnum, or were they created with the same educational goals in mind? A: We applied our same process when making the educational games, except that we tried to make them more overtly educational. Looking back, I think this probably makes them worse, but only because you have more freedom to make good design decisions when you’re not trying to conform to external constraints. Q: What was the most challenging game to develop, and how did you overcome the challenges you faced to finish and release the game? A: The physical simulation in Infinifactory was pretty gnarly, as expanding from 2D into 3D means you have substantially more things that need to be simulated. There isn’t an exciting story about overcoming that challenge, though… it just took slightly more developer time than expected. We’re fortunate that we can release our games when they’re ready and take as long as we need. Q: Speaking of challenging, many players find your games to be particularly difficult, which in turn makes progressing and completing in-game tasks all the more satisfying and rewarding. Do you try to fine tune the balance of challenge and reward in your games, or is it something that forms naturally during the development process? A: For the most part it happens naturally. For our puzzle games we design a system of interesting mechanics, which dictate what the puzzles ask you to do, which inadvertently dials in a difficulty for the game itself. Obviously I’m designing this whole thing as we go, so I have a substantial degree of control over what is getting made, but early decisions direct later decisions and often I get dragged along by my own designs. Q: Your games have dabbled in coding, chemistry, and alchemy. What other design field would you like to create a game around in the future? A: There are so many, but they’re all secrets! Q: What do your family and friends think of your games? Do they ever suggest game ideas to you, and if so, what was the most interesting suggestion you’ve received? A: My friends in the games industry generally understand what I do, and some of them even play my games. When it comes to friends and family outside of the games industry I don’t think many of them really get it, but that’s okay. Video games are strange, and mine are even stranger! Q: Finally, what’s the most important piece of advice you’d give to aspiring indie game developers? A: Be careful about taking advice from other developers. Any advice you get from another developer is going to be informed by their past experiences, but I don’t think that many developers, successful or not, really understand why what happens to them happens to them. We want to thank Zach Barth for taking the time to answers these questions, as they really helped us gain new insight into Opus Magnum and Zachtronics as a unique, educational indie game studio. 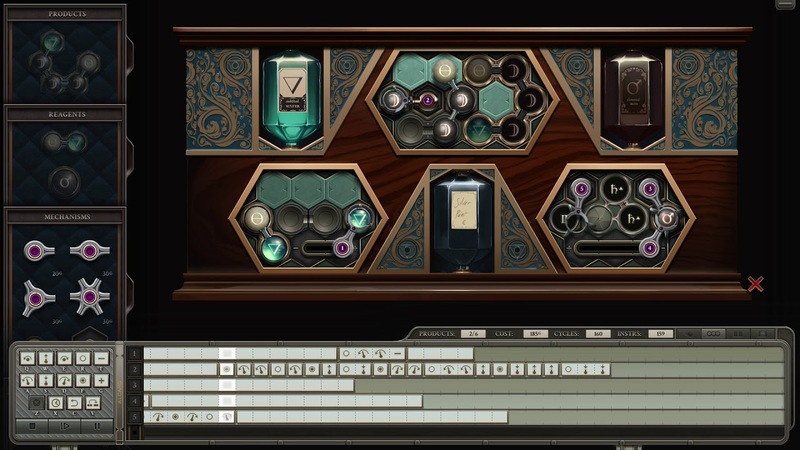 If you're looking to learn more about Opus Magnum, be sure to check out the game on Steam and on the official Zachtronics website. To stay up-to-date on any future projects, be sure to check out the Zachtronics podcast and follow the studio on Twitter.